Four years ago, in 2014, Haguit Marrero was in something of a crisis. She had just arrived in Cleveland from Puerto Rico, gotten divorced the year prior, and had three daughters and a son to raise. And she had to make a living. 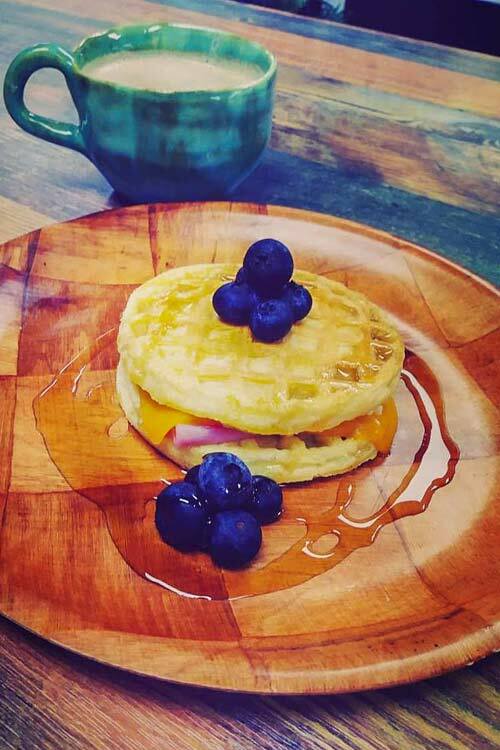 Today Pura Cepa is one of four businesses spotlighted in La Villa Hispana’s latest development in business incubation: Las Tienditas del Mercado. Pura Cepa joins Café Social Latinoamericano, Ortiz Art Drafts Designs, and a yet-to-be-named tenant in the Las Tienditas space, which celebrated its grand opening on Friday, September 21. Designed to be an incubator for Hispanic and Latino businesses, Las Tienditas is based in the former Caribe Grocery bodega space once owned by the late Julio “Cesi” Castro (nicknamed the “Mayor of W. 25th”). 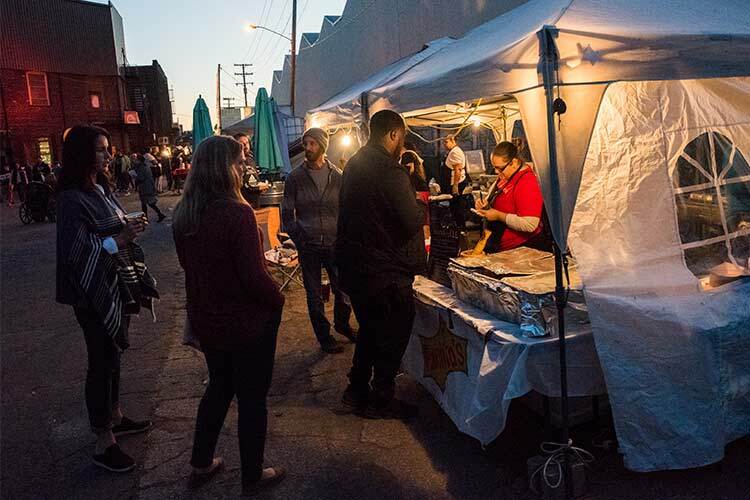 The introduction of Las Tienditas doesn’t just boost neighborhood businesses, but also safeguards them from a type of failure easily seen without a community’s full-fledged backing—as well as legal quagmires. Without CDCs pushing them to brick-and-mortardom, many Puerto Rican restaurants in Ward 14 may be in violation of City Code, based on the lack of regulations. Las Tienditas helps provide a structure that keeps them safe from potential fines or even jail time. Leon’s mindset is in line with La Villa Hispana’s 2016 Action Plan, which positions the model of incubation around “business literacy,” often instructing families with good intentions how to operate in the right legal structure—and how to make money. In addition to the four shops apart of Las Tienditas, La Villa Hispana hopes to see up to 100 more businesses uplifted by the time 2022 comes around, a direction they aim to finalize next spring. For Marrero, her path to growth as Pura Cepa enters its own new phase is peppered with more certainty, as she expands her social media presence with HBC’s help. She’s digging the La Villa Hispana concept so much she’s taken up event planning for the community’s sake. Karaoke. Un Noche de Bohemia. Bachata classes. “It’s all about returning to our roots. Nuestro raizes,” Marrero says. ‘So, in my opinion, we can continue to growth. Poco a poco." Like Pura Cepa, Panchita’s is another eatery being lifted to officialdom by the continuing development of La Villa Hispana neighborhood while keeping cultural heritage front and center. In fact, Panchita’s was one of the original home food businesses to open with La Villa’s guidance. 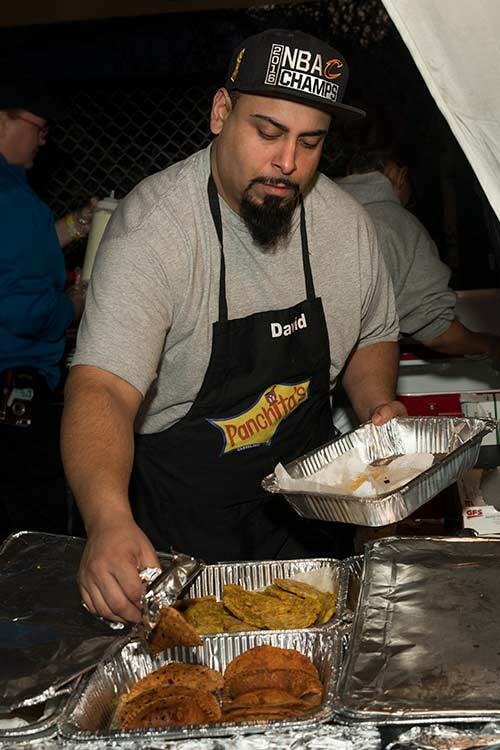 David Perez of Panchita'sOwned by Heribelto Montanez, the catering business is a living ode to Montanez’s mother, Francisca—affectionately known as “Pancha,” or “Panchita,” for her short stature. After all, Francisca never pushed past five feet, never made it to the third grade, never learned to read or write, never learned English, and never, ever measured out ingredients. 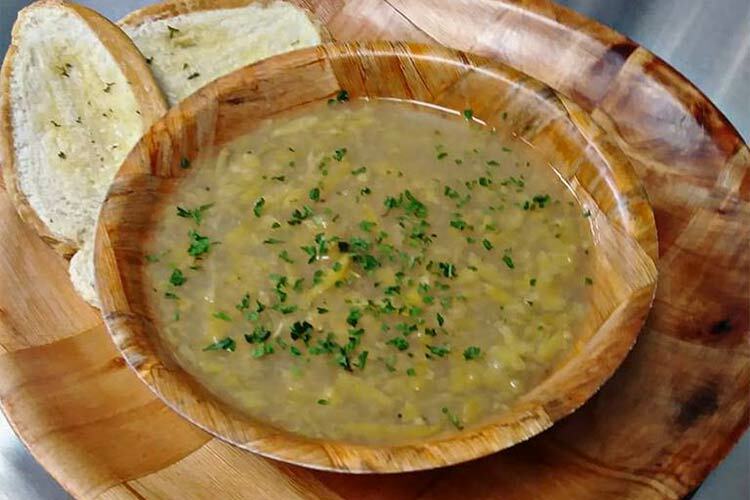 But despite immigrant setbacks, Pancha’s homecooking spoke volumes. 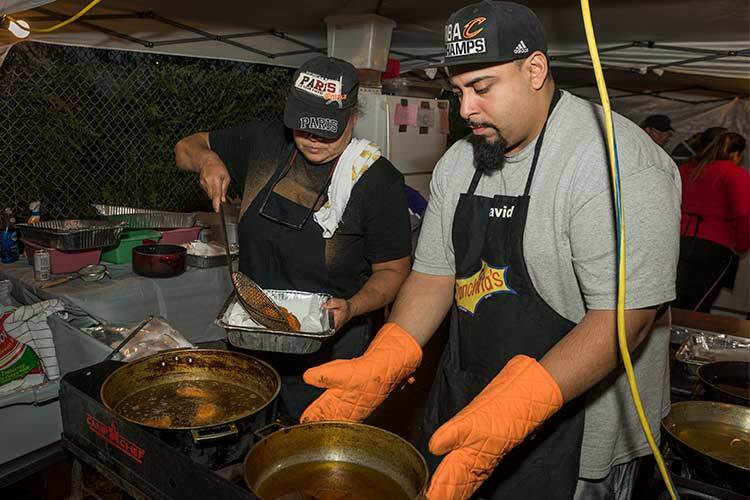 Cooking and family have always been at the heart of the Montanez lifestyle, ever since Pancha was born the second oldest of 36 siblings in a village outside of Yabucoa, Puerto Rico. Pancha’s life, as was for islanders before modernization, was rote: Stay home, raise siblings, feed them plates of arroz con pollo in a 25-pound pot. When financial straits came, the Montanez family turned to selling staples like pasteles out of their front door. It was textbook Latin commerce: Find something to specialize in. Do it without hesitation. Day in, day out. As Nationalist Party revolts began to rattle the island, Pancha relocated with her husband Francisco “Sico” Montanez, a laborer, in the early 1950s to Ashtabula. They were following a First Wave of Puerto Rican immigrants, many of whom would find a wide helping of jobs across the state in steel mills, greenhouses, at the National Tubing Company. The title “Little Puerto Rico” began to be thrown around sometime in 1958, and homes in the Clark-Fulton area became refuges for back-home-type eateries. Pancha’s included. But highly worth it. 2018 was their first year in the green. Alysia reports a 20 percent growth increase annually since Panchita's inception. ”I don't think that would be possible if we hadn't gotten help,” she says. Heribelto has no doubt that Pancha, who passed away two years ago at the age of 87, would agree. 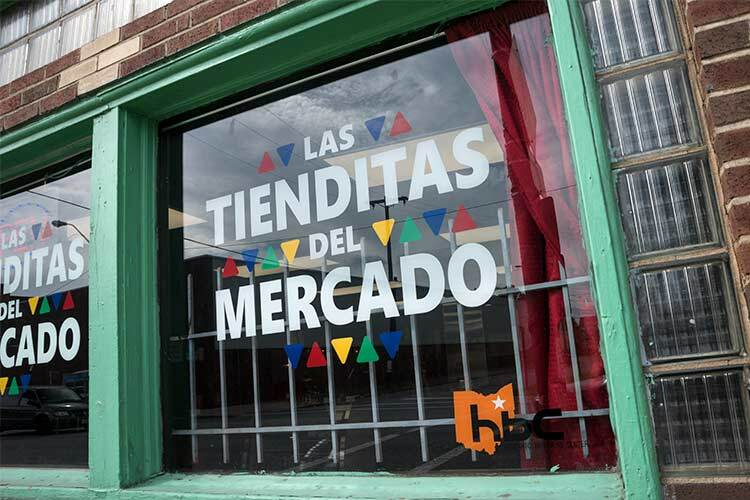 Las Tienditas del Mercado is located at 2886 West 25th Street Cleveland, OH 44113. Read more articles by Mark Oprea. Mark Oprea is a freelance writer living in Cleveland's Little Italy. He has written for Cleveland Magazine, Kent State Magazine, and other publications. More of his work can be found on his personal website.